Lots of people ask for trip planning advice. And many parents ask me for my tips for planning travel with kids. I always have plenty to say, but really, the different ways people plan, research and prepare for a trip vary as much as individual people vary. Nonetheless – I hope that putting my thoughts down here will be useful, or at least be one way to answer these questions! 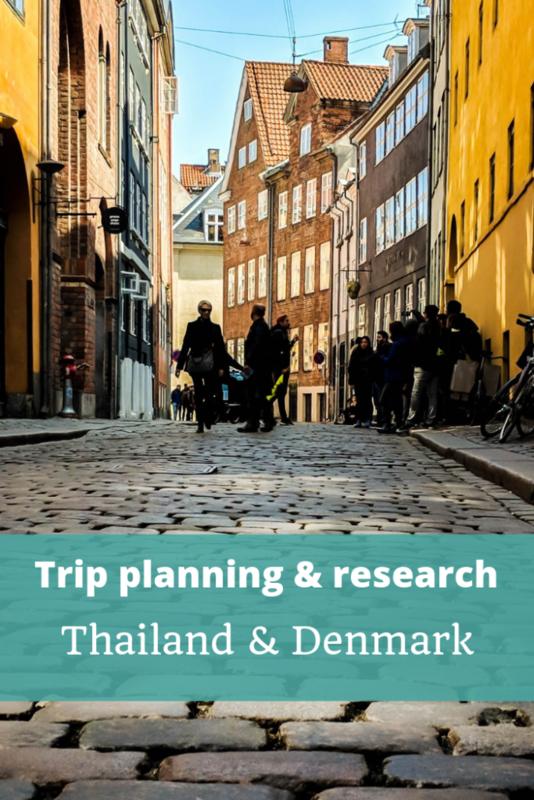 As I’m in the finishing stages of planning our three-week trip to Thailand and Denmark (an odd combination, I know, more on that soon!) I thought a bit of a case study of how we’ve planned this might help. 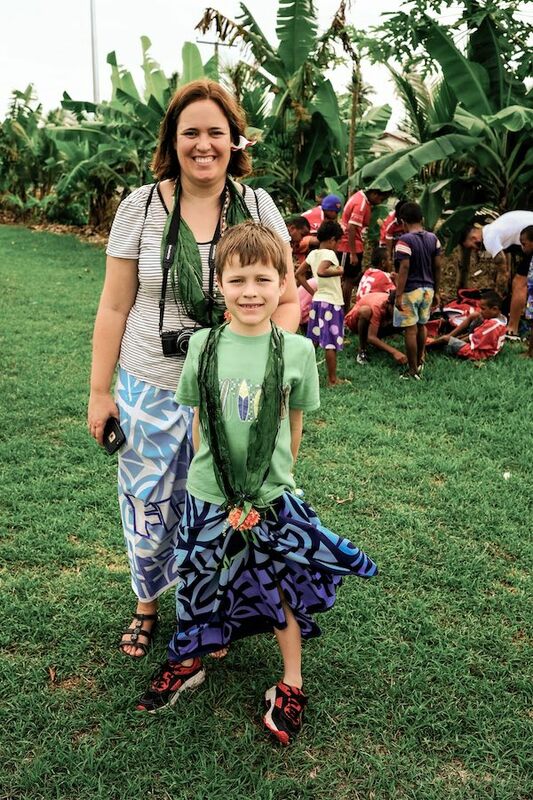 Since I’ve spent my son’s whole life encouraging a passionate love of travel, he’s probably easier than most kids to travel with – but I still think some of my experiences and tips will be helpful. Travelling as a single parent, with a single kid, has some distinct advantages, and a couple of disadvantages. Obviously the biggest advantage is cost! We just share a twin room anywhere we stay (or a small Airbnb) and I only have to pay for two whatever we’re doing. It’s also easier to compromise because in exchange for doing things my son’s most interested in (for example, Legoland in Denmark), he’s happy to do something I’m more keen on (to a certain extent, anyway!). I think because there is just the two of us we also end up having lots of really interesting conversations as we process our day-to-day travel experiences, and the perspective of a young kid (and a boy, at that) is often something I’m not expecting – which is so fascinating! The main disadvantage – which is mostly not a problem, but occasionally becomes one – is that we are ALWAYS together when we’re travelling. This is mostly fine but of course sometimes we probably need a break from each other (which we normally achieve with some quiet time doing our own thing at our accommodation) and also it means it’s unlikely that I’ll get to go out to any kind of nightlife, and that it’s pretty hard to insist he comes shopping with me, at least in any kind of enjoyable version of shopping! This probably saves my wallet though. So very often I plan a trip on a kind of whim. It’s rare that we decide “Okay, let’s go to Iceland” and do it. Very often, it’s because I find a great airfare to somewhere we’ve been contemplating going, or there’s another reason to go like visiting a friend, or we get offered a trip through the blog or podcast. 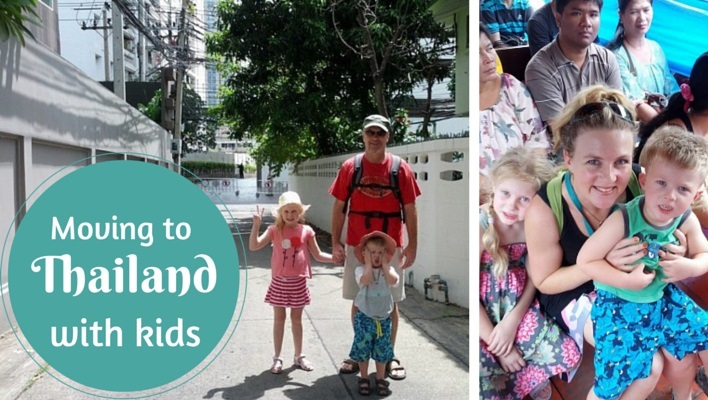 This time our trip was prompted by a family wedding taking place in Krabi, Thailand. We knew about it perhaps six months in advance, so with that as a stopping point I started monitoring my favourite airfare deals emails from I Know the Pilot (this operates out of Australia; for Americans, my friend has recommended Scott’s Cheap Flights and for those based in Britain, Jack’s Flight Club gets the nod. I had in mind that we would add on another Asian destination to our Thailand wedding trip – we’d talked about returning to Cambodia, or trying out Laos, or even going further to South Korea – but then an incredible deal came up with a full-service airline, Thai Airways, that would let us have the week in Thailand and then fly on to Copenhagen, Denmark. 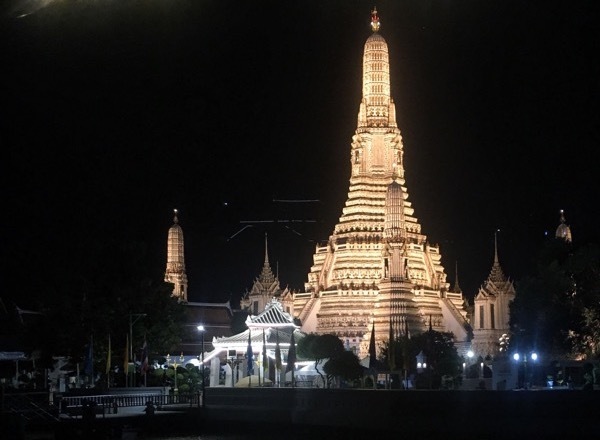 The dates fitted, the fare was absolutely irresistible – not much more than what I’d budgeted just to get to Thailand – and one memorable Friday evening, my son said YES, BOOK IT! and I did. He woke me up the next morning by saying, “Good morning, crazy Mama who books flights to Denmark!” and I knew I’d done the right thing. This airfare will take us to Bangkok, where we’ll stop for a few days, so I just needed to add a cheap flight down to Krabi and back, and for this I started on Sky Scanner because it easily shows me all the airlines that fly this route and the relative prices. In this case my decision really came down to the timing as the prices were all pretty similar – I ended up choosing the Thai Airways flight because (a) it flies back to the main international airport in Bangkok where our onward flight to Denmark leaves from, eliminating the need to transfer, and because we’re flying from Krabi to Bangkok the same day as our flight to Copenhagen departs (with a buffer of a fair few hours), I thought if there were any issues it’d be easier to be on the same airline all the way. So, spontaneity within a broader plan is our go-to method for booking flights! For accommodation, though, I’m more methodical, and think about what we need out of a destination. For example, we have three days in Bangkok before we go down to the wedding in Krabi, and we have a friend flying in from Cambodia to meet us, so I wanted a hotel with a good swimming pool (availability of cocktails also essential! ), but a mid-range price. I started out on TripAdvisor but found so many potential hotels – Bangkok is a big city full of hotels! – that I felt a bit bamboozled. Luckily for me I have a Facebook page full of travel-lovers so I asked for some recommendations and eventually went with the Ibis Bangkok Riverside which seemed to tick all the boxes (sometimes personal recommendations are the best, after all!). For Copenhagen, I planned a slow trip – we’ll stay about ten days there, then finish up with a few days in Billund to visit Legoland and Lego House. A ten-day stay for me is definitely an opportunity to avoid hotels – they’re not my favourite places to stay, usually! – and find an apartment. I went to Airbnb and spent a couple of evenings trawling through all the possibilities – I love this part of travel planning! The main criteria I used to decide were location (either close to the centre, or very close to public transport – in this case I’ve got both), the availability of Wifi (I still have to work a bit while I’m there – and will use a VPN across the trip to be safe), and finding somewhere that looked a bit Danish – I don’t want to have the feeling that I could be anywhere (that’s one of my beefs with many hotels). When I’m picking an Airbnb I pay a lot of attention to the reviews, too, and found one with lots of sensible, long comments and not too many complaints. Done! 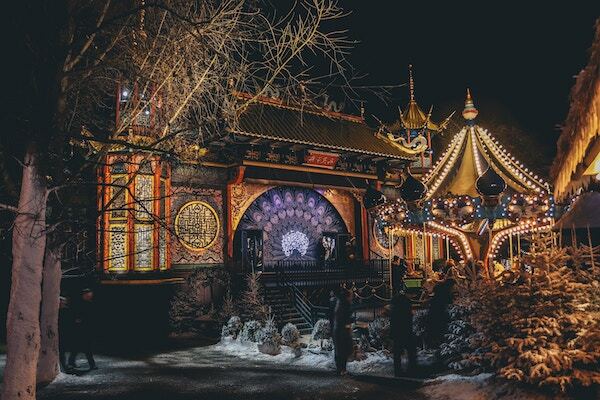 Tivoli Gardens in Copenhagen – close to our Airbnb apartment! One more bit about transport: I do always search around before I leave to figure out if a transport card is going to be worthwhile (for example, in Japan last year we didn’t use the ubiquitous JR Rail cards because they weren’t worth it for where we were travelling, but I did use a 5-Day Kintetsu card); for Copenhagen, because our apartment is fairly central, and my son loves bike-riding, we are planning to hire bikes. Of course, in the lovely chain of coincidences that often occur, I’d read about Baisikeli – a social enterprise in Copenhagen which rents bicycles out but also sends hundreds of donated bikes a year to Mozambique – and then they’ve turned out to be walking distance from our Airbnb. An easy choice! Now, if you’ve listened to my podcast episode about researching and planning your trip, you’ll know that there are those amongst us who like to go with every day fully mapped out (including Plan Bs), but I’m afraid I’m not like that. What I do have, though, is a list of places and/or activities we’d like to try out, some information and research about them, and a rough idea of what might work together. Especially when I’m staying somewhere for more than a day or two – like our ten days in Copenhagen – I prefer to just have a list to look at and then we can take each day as it comes, depending on how we’re feeling, what the weather’s like and anything else that might come up. what we can find out about by asking people we know. One of my previous podcast guests is Erin from Oregon Girl Around the World, who has been living in Copenhagen for a couple of years, so I immediately asked her for some tips (and went back to the interview we’d recorded, too, because I knew I’d grilled her about Copenhagen even back then, long before we had a plan to go there, mostly because I had an inkling we’d make it to Danish Legoland sometime!). Heading up to the Louisiana Museum of Modern Art is one of the list items that arose from that. physical guide books – yes, I still use them! Despite my love of all things digital I do still love physical books, so I got the Lonely Planet Denmark out of the library and spent a couple of weeks browsing it at any spare moment and making notes of places that jumped out at me. Reading about the particular exhibits in the Nationalmuseet, for example, had me adding this to the list. blog posts about visits to Denmark. Of course, as a long-term blogger I can’t go past the usefulness of travel blog posts and I get lots of tips and hints from all of them. When it comes to what exactly we do and when, then I do take into account a good balance between “fun for me” and “fun for my son” (and heartily embrace the “fun for both of us” activities!). He’s a great age, now, where he mostly still loves to hang out with me, so will put up with some of my stuff in exchange for that. Of course it’s not the same as travelling on my own – when I can do exactly what I want – but the fun of travelling with him, and seeing him explore new places, well and truly makes up for that. So, how will it all work out? That’s the million dollar question! But I haven’t had a bad trip yet. There’s no such thing, surely, whatever goes wrong just makes it part of an interesting story and there will no doubt be all kinds of things that happen along the way which I haven’t even thought of yet. I guess the only way to know is to check back after the trip and see what we thought! In the meantime, if you’ve got planning questions, especially if you’re a single parent and/or travelling with a tween, feel free to get in touch! The planning part before the trip is always fun.